Hi Kids! 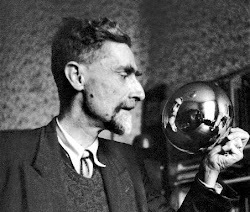 You now know a lot more about M.C.Escher than you used to! Your task is to create a few short paragraphs of information about M.C.Escher that you will later use on the poster you will make. A. When and where he was born? B. What he childhood was like? C. What was his family like? D. What things did he do in his lifetime which were a big deal to him? E. What kinds of art did he create? F. When did he die? G. Why is he still famous today? 1. Read the information on the pages linked above. 3. Using your notes and memory (from the documentary), write about M.C.Escher IN YOUR OWN WORDS. 4. Make sure that you have used you own words. Change things around, mix things up, make it YOURS. 5. Have you answered all the questions above? 6. Place your book open in the yellow tray. 7. Read/look through one of Mr.E's M.C.Esher books. Click the link on the right-hand-side of the page which says "1946 Eye"
In 1946 there were no computers. 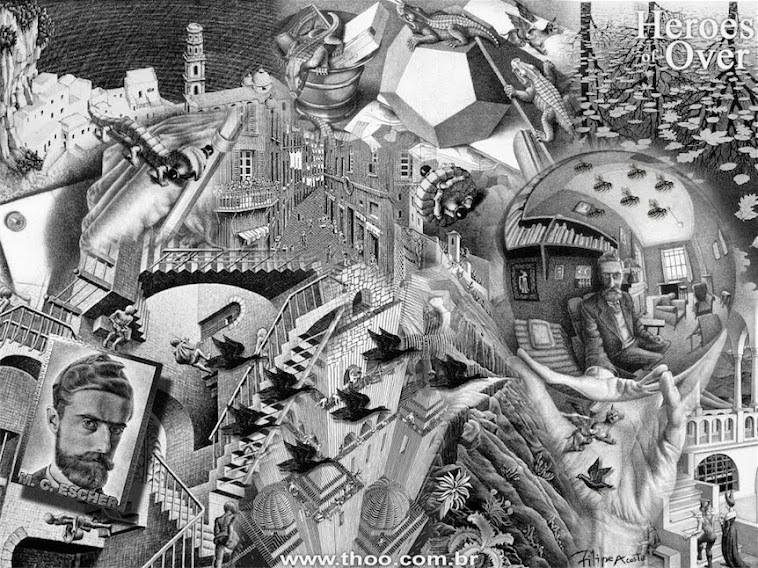 Escher did this entirely with a pencil. Watch the video of someone creating their version of "Eye" using a computer. Your task this week is to sketch your own version of "Eye" pausing the video along the way to help you. You will be using paper and pencil. I suggest you get your art pencil for this activity. You will need a rubber too! If you prefer to sketch the picture from looking at a picture in a book, ask Mr E to lend you one of his ultra special M.C.Escher books.